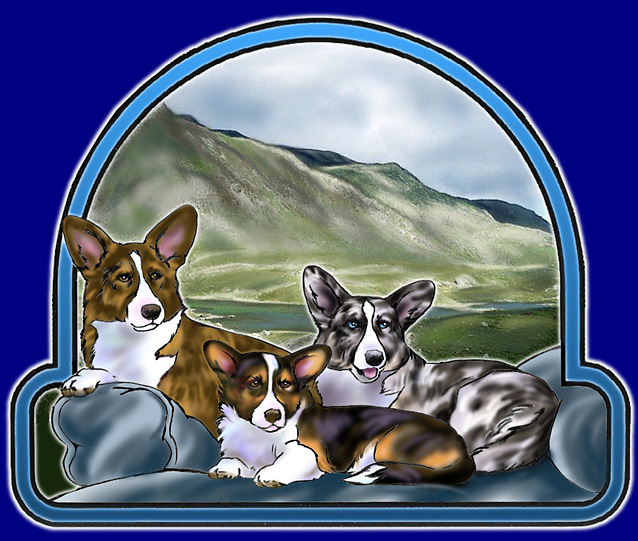 This website has been given to The Cardigan Welsh Corgi Association for future maintenance. Cardicommentary is dedicated to the Cardigan Welsh Corgi. We are an international panel of Cardigan enthusiasts whose aim it is to provide a forum where Cardigan fanciers from around the world can exchange knowledge, experience and viewpoints, providing available information on everything related to Cardigans. Information will be provided as links to already existing information on the web, and as articles on this website. DISCLAIMER...The appearance of any link or article here does not constitute endorsement or agreement by all of us. These articles are intended to be "food for thought," and to stimulate our continued reflection and discussion. Cardicommentary will be continously under construction as we work to provide more links to available information, and to update the information already provided. We invite your comments and opinions. Please note that everything on this site is copyright the creator. For reprint permission, please contact the creators. We have tried not to violate anyone else's copyright, but if you should find something to which you think you own the copyright, please contact us, and we will immediately take care of the matter, either by removing the item in question or by acknowledging your copyright, as you prefer. Please note that copyright normally belongs to the creator (author, photographer,artist, etc. ), not the dog owner or the original publisher.